Walgreens Boots Alliance is poised to revise its agreement to buy individual Rite Aid Corp. stores, a move that may be enough to resolve outstanding antitrust concerns and clinch U.S. approval for a deal the companies have been pursuing in different forms for two years, said people familiar with the matter. Walgreens is in the final stage of negotiations with the Federal Trade Commission about its plan to buy more than 2,000 Rite Aid stores and is set to propose a modified deal that could be announced as soon as Monday, according to three people, who declined to be identified because the talks are confidential. The deal would be a hard-won victory for Walgreens and its CEO, Stefano Pessina, who has doggedly pushed for a transaction that could clear regulatory approval since the fall of 2015. The companies and the FTC are close to an agreement that would allow the deal to proceed, said the people, who declined to discuss details of the revised transaction. The number of stores involved in the latest iteration won't change dramatically, one of the people said. The FTC is nearing the end of its review of Walgreens' plan to buy the Rite Aid locations and must approve the deal or issue a so-called second request seeking more information. A revised filing by Walgreens would head off an in-depth investigation and give the agency an additional 30 days to reach a final decision, though the FTC could act sooner if it's satisfied the tweaked transaction resolves its concerns. Rite Aid shares were up 3.4 percent to $2.72 in early trading in New York. Walgreens was unchanged at $82.50. Walgreens and Rite Aid declined to comment about the negotiations. The FTC didn't respond to a request seeking comment. A modified deal would mark the fourth attempt by Walgreens to win approval for its plan to dramatically expand its footprint through a transaction with Rite Aid. If successful, it would become the No. 1 pharmacy chain in the U.S. by number of store locations, edging out market leader CVS Health Corp. That would leave Rite Aid a distant No. 3 after the sale of almost half of its roughly 4,500 stores in the U.S.
Walgreens initially planned to buy Rite Aid outright with a takeover announced in October 2015 for $9 a share, or $9.4 billion. 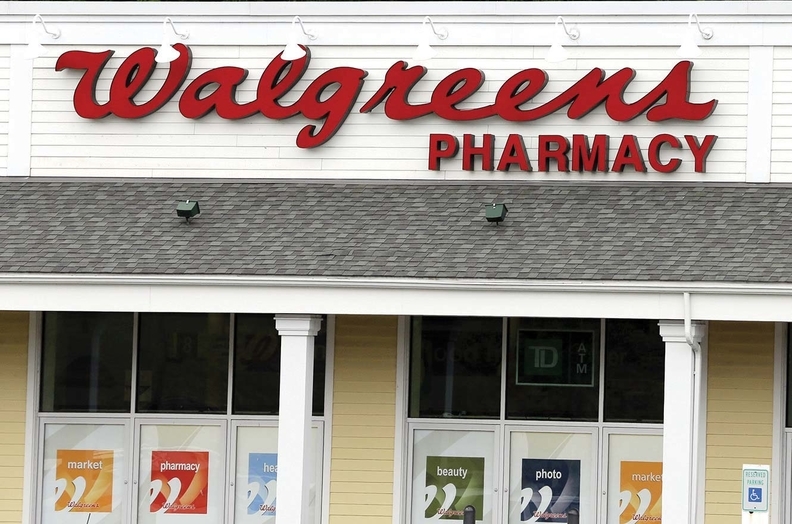 That deal ran into roadblocks at the FTC, and in January Walgreens and Rite Aid recut the deal in an attempt to resolve the agency's concerns that the combination of the pharmacy chains would hurt competition. The revamped merger plan called for selling up to 1,200 Rite Aid locations to another buyer to satisfy the FTC and was worth at least $2 billion less to Rite Aid shareholders. That approach, which could have cost Walgreens as much as $7.37 billion, again failed to win over the regulator, and Walgreens terminated its second takeover plan in June. The company said it instead would pay $5.18 billion to acquire 2,186 stores, leaving a slimmed-down Rite Aid as a stand-alone company. "Walgreens​ tweaking​ Rite​ Aid​ deal​ to​ earn​ feds'​ OK"​ originally​ appeared​ in​ Crain's​ Chicago​ Business.